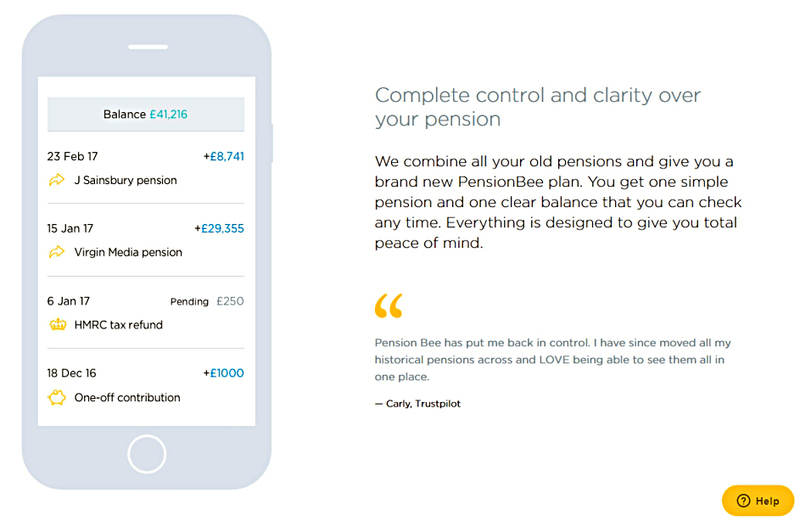 We first looked at PensionBee back in October 2016, but they’ve cut their fees for larger portfolios, so it’s time for another look. 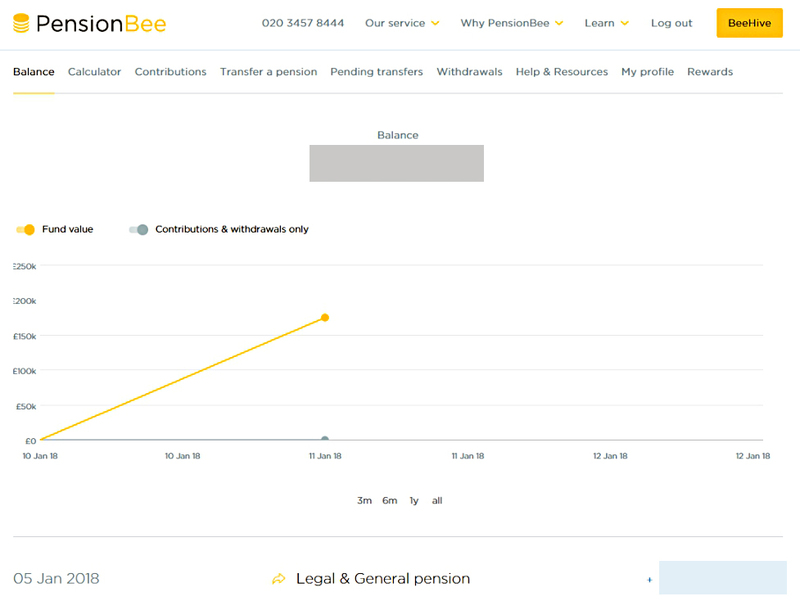 PensionBee is all about collecting together your existing pensions into a single scheme to save money. You fill the details of your employers etc, and they find and transfer the old pensions into a central pot (for free). A Tracker plan, run by State Street. 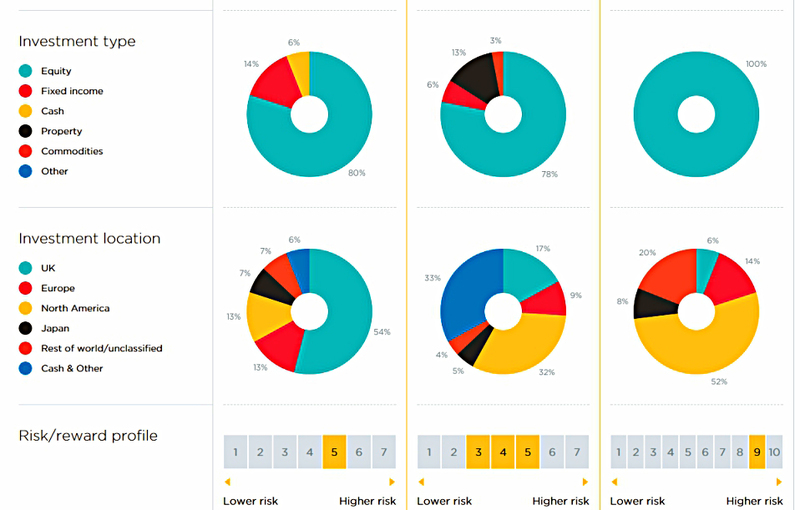 A Match plan, run by BlackRock, which seemed to use a multi-asset approach to match the portfolio composition to the pension industry standards each month. A Tailored plan from BlackRock, which seemed to be a “lifestyling” approach, changing the asset mix as you get older by adding more safe assets (not a good idea). Their fees were 0.6% pa for all pot sizes for the cheapest option (Tracker). 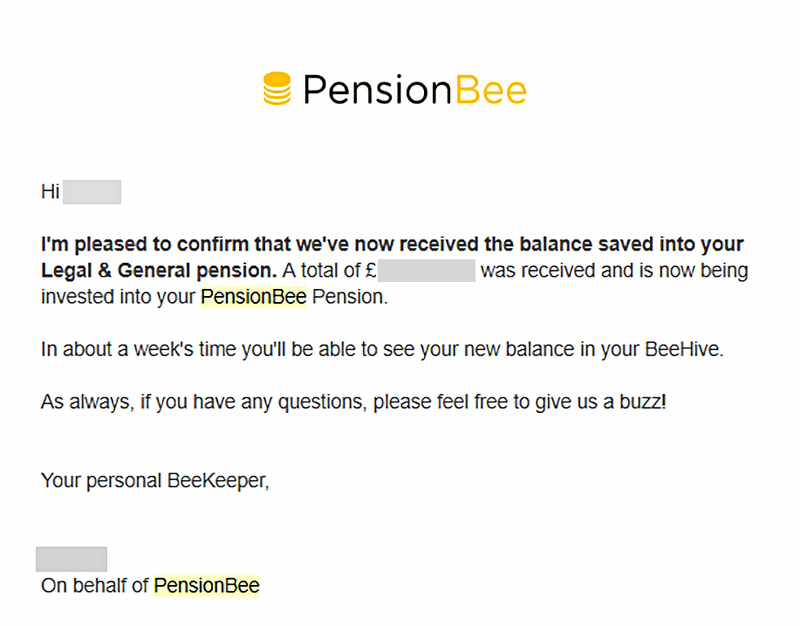 The PensionBee offer was an interesting one. Collating small pensions into one larger, cheaper one would make sense for a lot of people. The portfolios on offer and the headline charges seemed reasonable if not cheap. But you couldn’t find out enough detail without signing up. The lifestyling plan has been replaced with a “Future World” plan from Legal and General. This turns out to be a green plan aimed at low-carbon activities. As usual, going green is more expensive – if we arranged things properly, surely green options should be the cheapest. Note that the Tailored plan is labelled “most popular”. This is not surprising, since they’ve used the old advertising trick of having three plans at different price points. Most people will choose the middle option, as they perceive it to be better than the cheapest, and better value than the most expensive. In fact, there’s a hidden tab underneath these three plans, labelled “More PensionBee plans”. If you click on this, the old Match plan reappears, with an annual charge of 0.60% pa. I hear that even more plans will appear later in 2018. But the big news is that they have introduced tiering to their fees. This acts as an effective fee cut for larger pots. 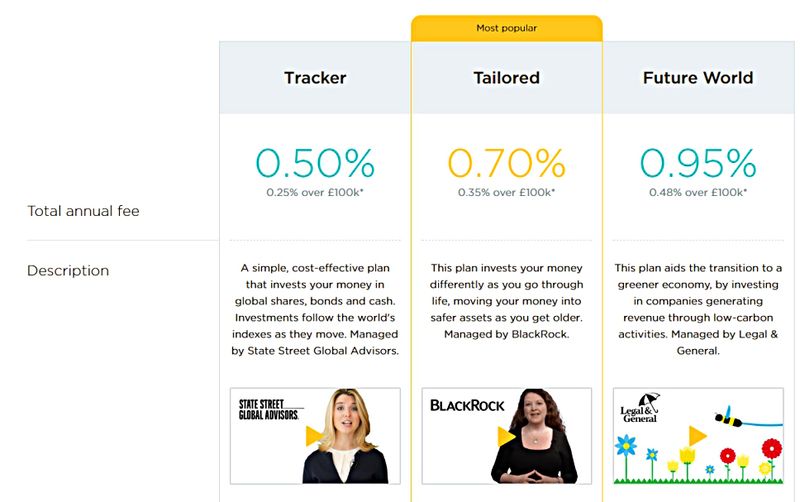 The tracker fund option now starts at 0.50%, and the fee halves for sums above £100K. That means that for £250K, the fee is now 0.35%. And at £500K, the fee is now only 0.30%. The Match plan is also interesting, but its fees are 20% higher than for the Tracker fund. That makes it 0.42% pa at £250K, and 0.36% at 500K. I couldn’t see whether you can split your pot between Plans, but I will ask. I think these are the cheapest non-DIY fees around. Only the NEST pension is cheaper / as cheap, and that’s limited to transfers in of old pensions into an active workplace scheme. Which means that your employer needs to choose NEST, and you need to have a large old DC pension that you can move in. 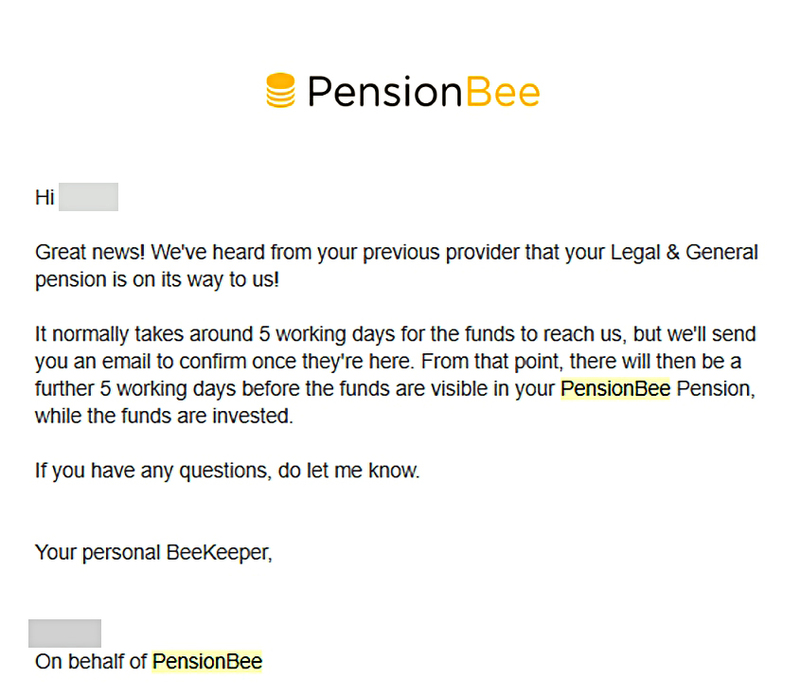 PensionBee have also greatly improved their website. There’s a lot more information available up front now, with no sign-up needed. The Green plan is surprisingly much more risky. That’s because it’s 100% equities. It’s also 52% in the US. The Matched plan is 78% equities, and includes 13% property and 3% commodities. It has 33% in the UK and 32% in the US. The Tracker plan is the cheapest and the most boring. It’s an 80 / 20 plan (equities vs bonds & cash). It’s 54% UK, with a decent international spread of the rest. The final change from our last visit is that State Street have taken a stake in PensionBee. I’ve been waiting a long time for a Robo Advisor to become cheap enough for me to try, and I decided that this was the time. My Other Half (OH) has six DC pensions, which I would like to consolidate down to three. 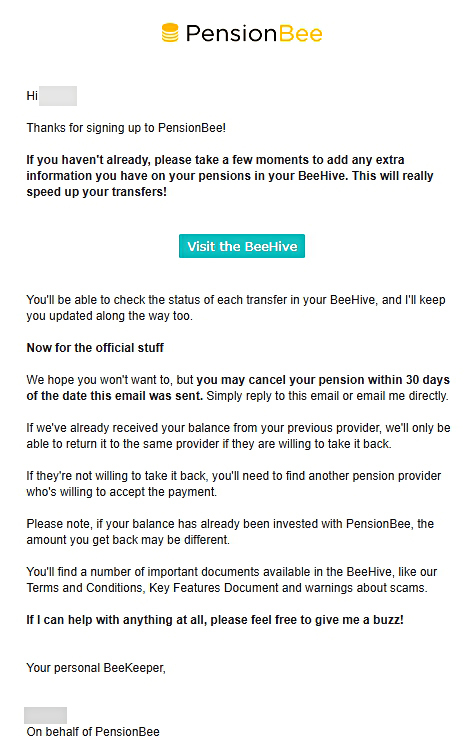 I plan to move around £330K to PensionBee, which would make the annual fee something like 0.32%. That’s a lot less than she is paying at the moment. The Tracker plan is a little boring, but I can spice it up a bit by choosing more adventurous options in her other DC pots. Do they offer drawdown inside PensionBee? Yes, and it’s free (after you’ve been with them for a year). Do they offer UFPLS inside PensionBee? No, but they are thinking about it. 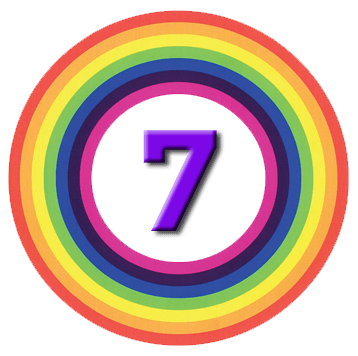 They offered a work-around where a partial transfer to drawdown could then be completely cashed-in, preserving the “25% tax-free, 75% taxable” structure. If we ever need to transfer out, are partial transfers possible? Not as standard, but it could be arranged. These answers were good enough (and came back quickly and clearly) so we decided to go ahead. This included a right to cancel for 30 days. This reminded us of the right to cancel. Funds are on the way. This means the old provider has acknowledge the transfer. But are not yet invested in the trackers. We started just before Xmas, which probably added a week. 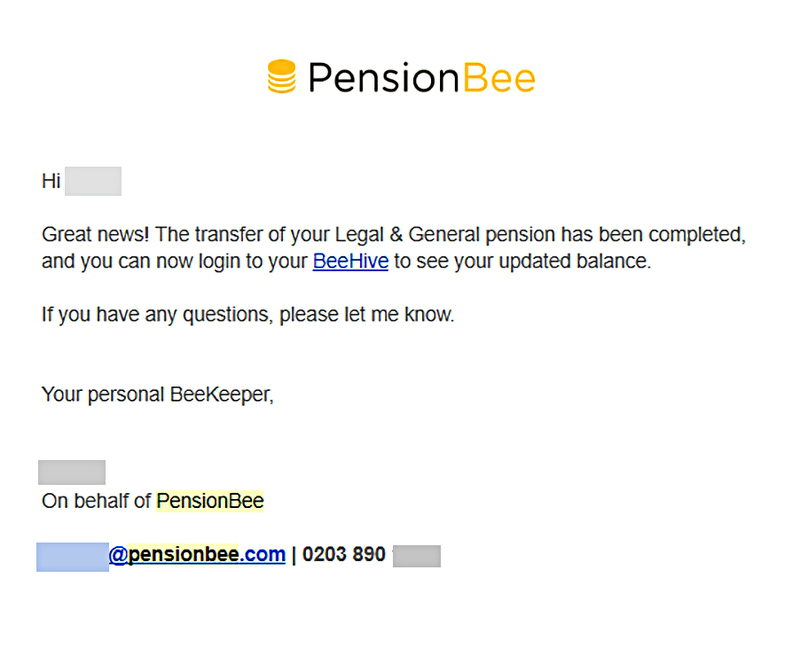 I don’t know how the time was split between PensionBee and Legal & General (from whom we were transferring). Most of the stuff along the top menu is not of great interest at present, but the Calculator option caught my eye. 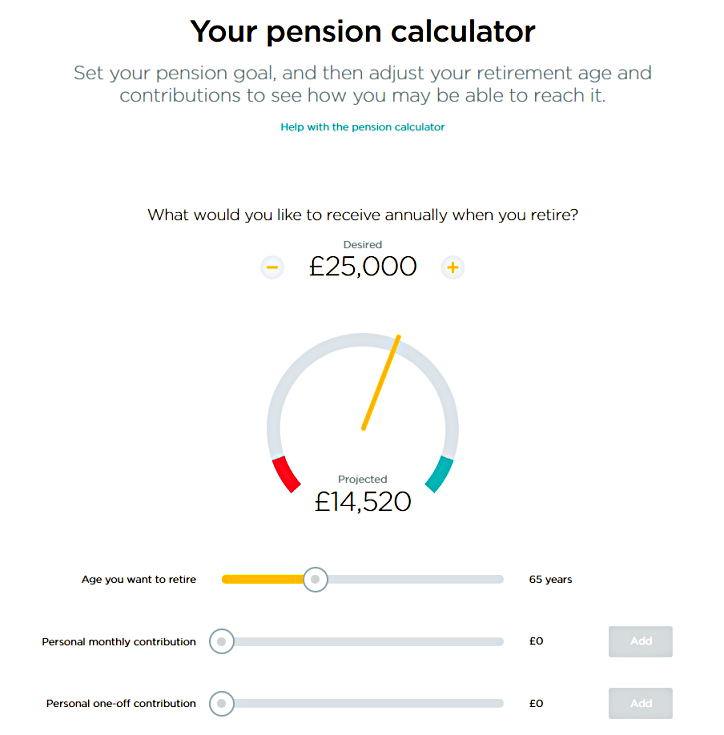 The calculator lets you play around with how much income you might receive from your pension pot in the future. This total looked optimistic – my own guess was more like half that figure – so I looked into the assumptions. The culprit is the ludicrous annuity rate of 5% pa.
It’s always possible that the rate will be that high by the time OH is 65, but it certainly isn’t the case today. So I think that the calculator is misleading, and should be ignored. 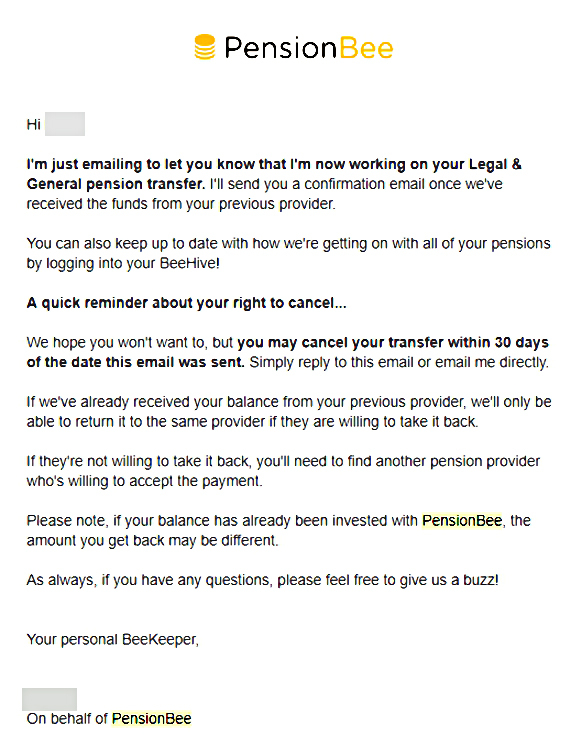 That quibble aside, I’m a fan of PensionBee, and I would recommend it to anyone looking for a Robo solution to combining pensions into one large pot. It’s best suited to people with pots in the £250K to £500K range. After writing this post, I contacted PensionBee for an affiliate link, and they set me up with one. So if you do want to try them out, please use this link – it won’t cost you anything but it will earn me a few quid if you do decide to transfer a pension to them. And I would have published this article even if I hadn’t been able to get an affiliate link. It’s possible that the long-awaited Vanguard direct SIPP may take PensionBee’s “cheapest pension” crown later in 2018, but let’s wait and see.